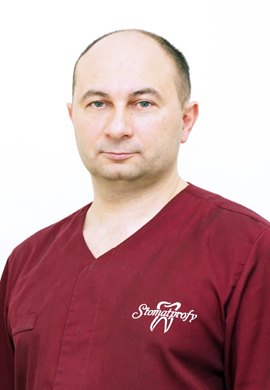 In 2005 graduated from Danylo Halytsky Lviv National Medical University, specialization x-ray assistant. 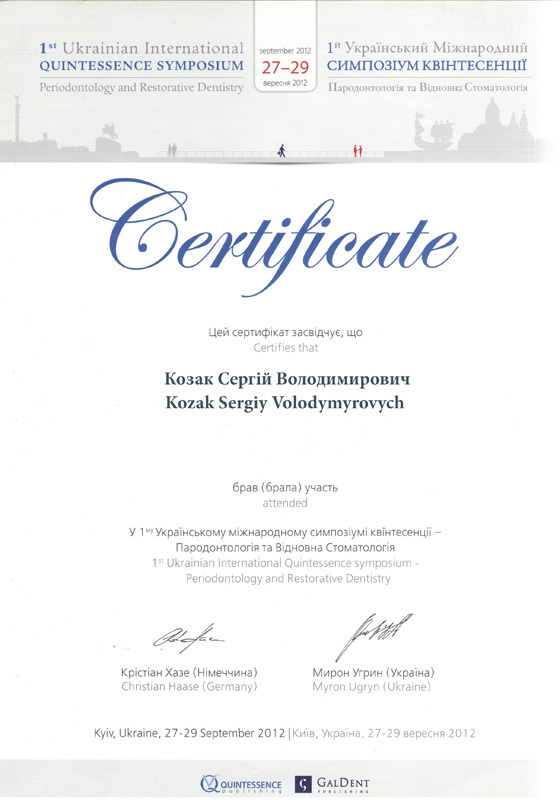 3D computer radiation diagnosis in dentistry. 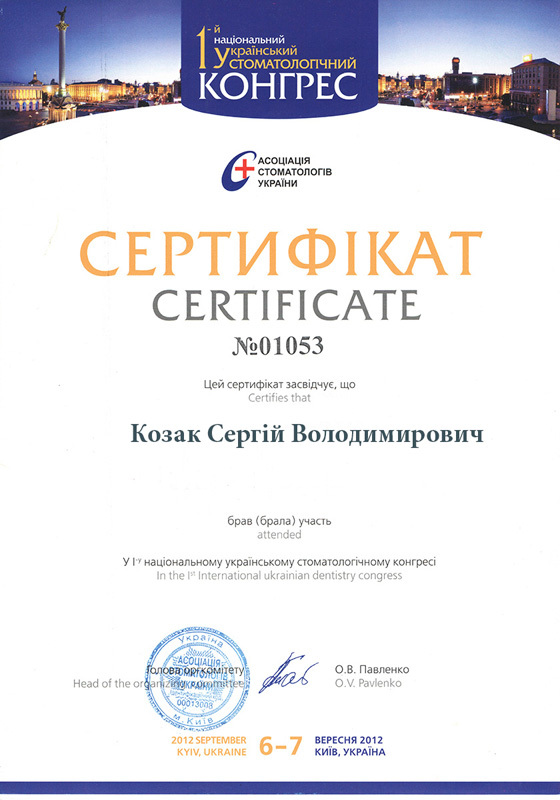 Training course „Work in laboratory”, specialization x-ray assistant. 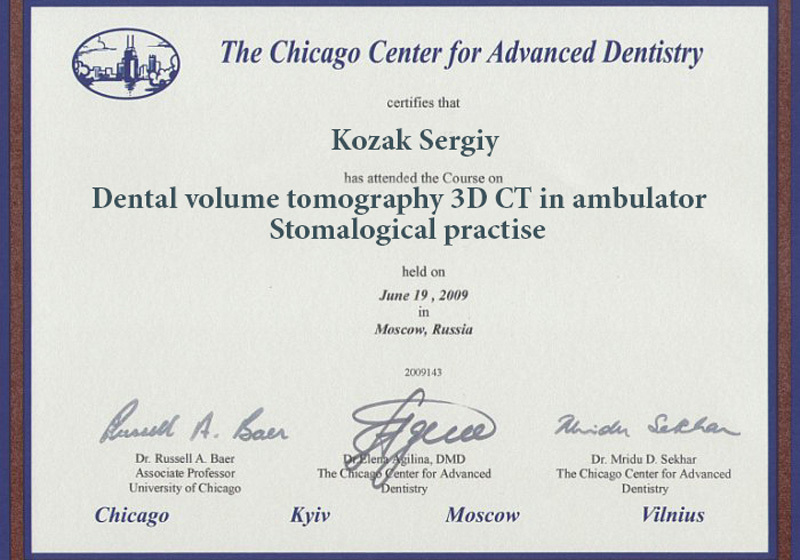 Dental spatial tomography in outpatient dental practice. 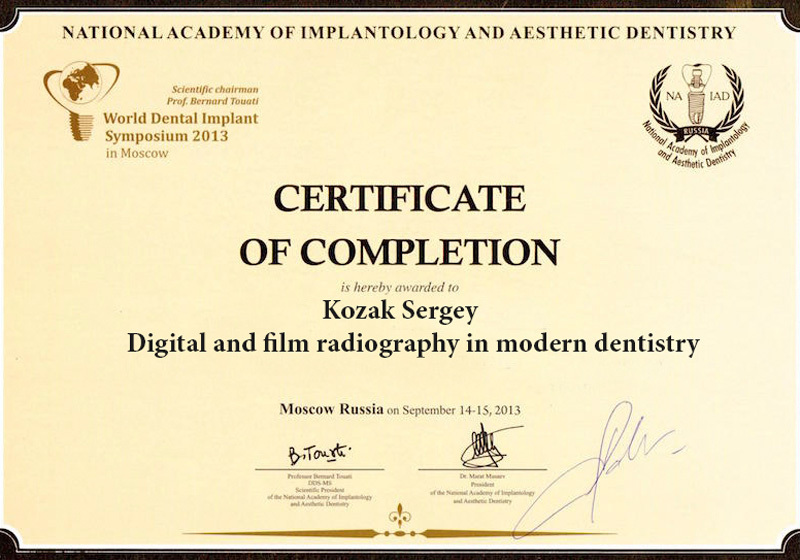 Digital and film tomography in modern dentistry.